Welcome to the second Live Vibes/Open Mic Night of the semester! Are you a student looking to showcase your talents? ALL types of performers are welcome, not just musicians! You can be a comedian, spoken word poet, or other! 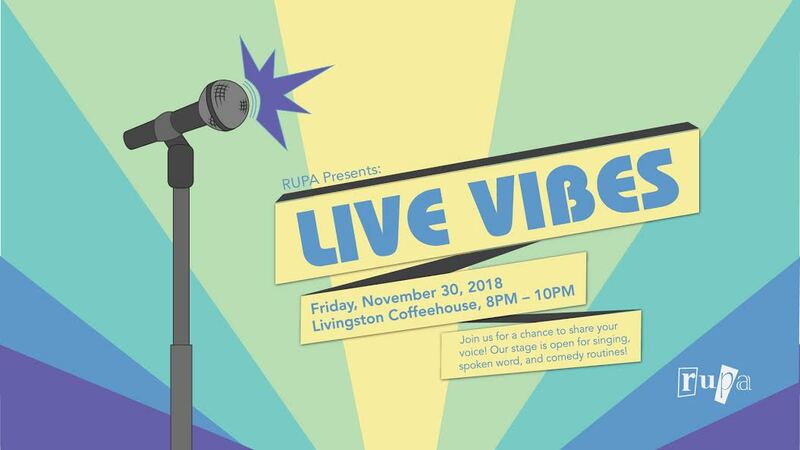 Join us on Friday, November 30th from 8-10pm at the Coffeehouse in the Livingston Student Center (across from Dunkin’) for a night of music, comedy, poetry, and other performances from your fellow Rutgers students! There will also be FREE food!